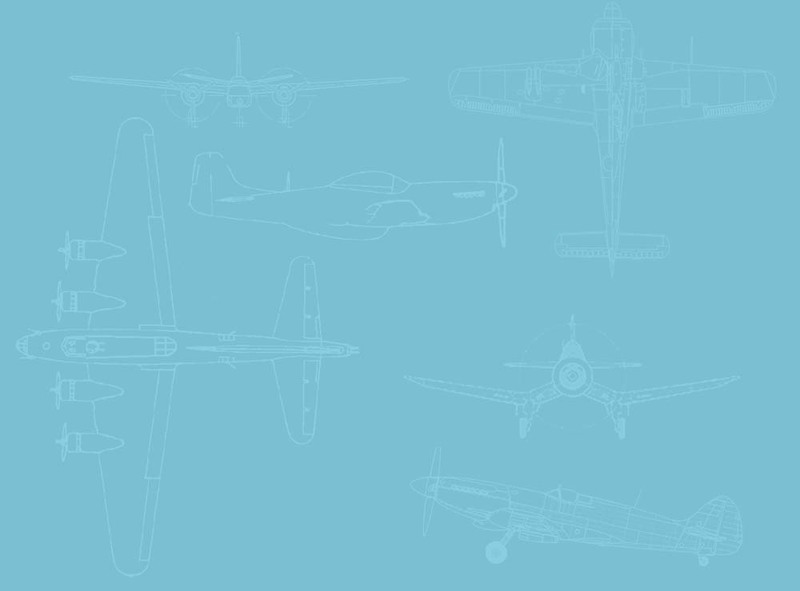 The histories of individual warbirds. around. The volunteers kept everyone and everything running smoothly and when a blue patch appeared in the sky and a B-17 appeared on the horizon you knew everything was going to be ok. 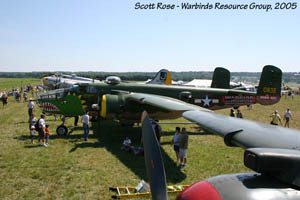 Numerous warbirds then proceeded to arrive and fill in the flight line. Not as many as you would hope for, but enough. Before long the sun started to descend behind the trees and the beautiful sunset was followed by a slowly developing fog that enveloped the field and brought arrival day to a close. come out to see. 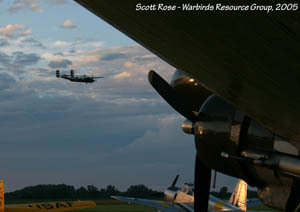 The arrivals ended and the displays began and once again Geneseo proved that it was a perfect venue for warbirds. Between the grass runway and the treeline on the far side you find it easy to loose yourself in the roar of radial engines and find yourself transported back to WWII. All of the aircrews put on spirited displays that enthralled the spectators and sent untold numbers of veterans deep within there memories. 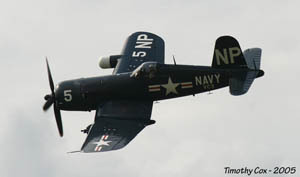 A standout performance was by Dan McCue in the Collings Foundation F4U-5NL Corsair. Dan wore the Corsair as much as flew it and manuevered the immaculate aircraft through the skies with a grace normally reserved for birds of prey. The day ended with an amazing steak dinner put on by the HAG crew and offered an opportunity for everyone to swap stories and socialize. made itself known as aircraft after aircraft rumbled down the runway and clawed its way into the sky. You almost expected to see a wave of enemy fighters on the horizon on their way to strike the field. The shear numbers of aircraft in the air was impressive. The crowds obviously enjoyed this display of power and stood enthralled for quite awhile. The day continued on without a hitch and proved to be extremely entertaining for all the spectators. Eventualy all good things must come to an end and the line of general aviation aircraft awaiting for take-off signalled the end of the show. Once again the 1941 Historic Aircraft Group has pulled off a brilliant show that without a doubt shows that enthusiasts are behind the planning. This show might not be the biggest but is by far one of the best airshows going. Year after year it grows better and better and I cannot help but recommend it heartily to anyone interested in warbirds. Hopefully I will see you there next year.